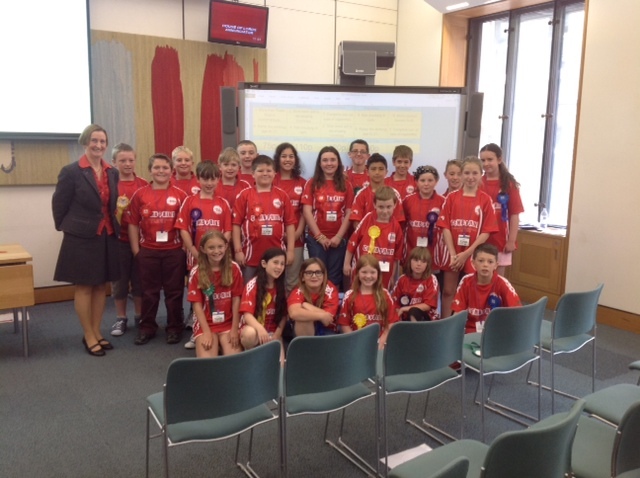 Nia Griffith MP welcomed Tycroes School to Westminster today. The Y6 pupils were visiting Parliament as part of a two day visit to London which included a visit to the Natural History Museum and a boat trip down the Thames. After going on a tour through the House of Lords and the House of Commons, the young people, helped by their Headteacher Mr Elfed Wood, and their teachers, took part in a workshop run by the Parliamentary Education Service in which they had to choose which policies to include in an election manifesto. They then had the opportunity to see how an election works, including casting their votes.